Our second visit this year to our favorite site - the excellent C&CC site at Ravenglass. Just about the only negative about this site is how long it takes to get there, but this time the journey was pretty good and we arrived around 2pm and were shown to pitch no. 2, which has a pretty good view overlooking fields. We had a wander around the village and along the "beach" before dinner in the Pennington hotel and drinks in the other two pubs. Not much of a sunset tonight, too much cloud around. By far the best day weather-wise, although it started off a bit overcast. 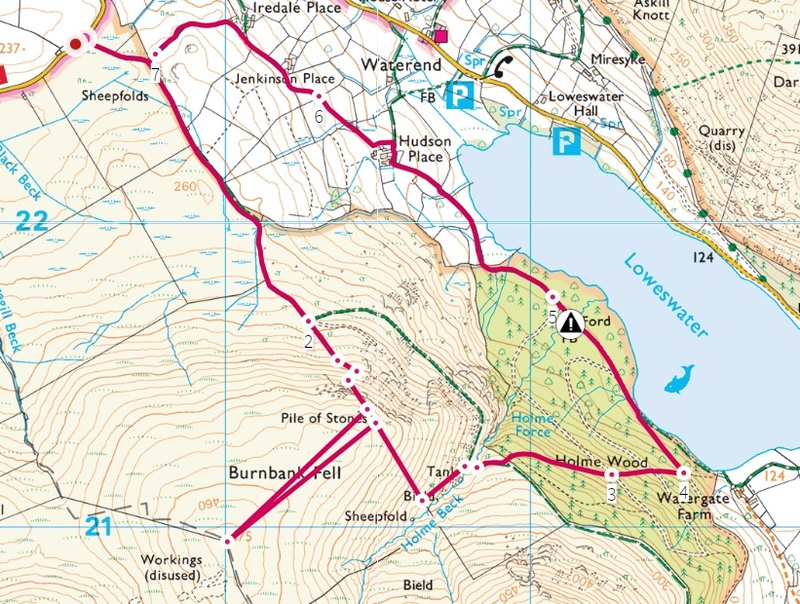 We headed to Loweswater to tackle Burnbank fell (475 metres). It turned out to be quite a clear day, with the Isle of Mann and Scotland visible in the distance, and nice views of Loweswater itself. 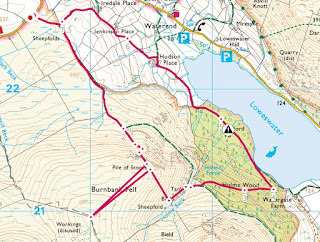 A good day for walking and another Wainwright ticked off. On the way back we stopped off in Gosforth and visited the Gosforth Hall Inn, a CAMRA award winning real ale pub. It was ok, but not as nice as any of the pubs in Ravenglass. In the evening we had a couple of drinks sitting outside the Inn at Ravenglass. A great sunset tonight, but cold, we were the only ones who stayed outside to the end. Afterwards we retreated to the caravan for dinner and spent the rest of the night in. A wet and windy day. No rain in the morning, though, so we thought we would go for a walk along the beach at Ravenglass. It wasn't to be, the tide was in and it was inaccessible! We got some pics of what is left of a Roman bath-house on the way. Plan B was to drive to Drigg and walk along the coastal path to Seascale, but we only made it half way before rain stopped play. Rain meant we had to stay inside the caravan all afternoon, then we had a steak each in the Ratty Arms and a final drink in the Inn at Ravenglass. When we left the Ratty Arms it was empty, the Pennington hotel bar was empty too, and there were only three people in the Inn. Up and away early because D had to work in the afternoon. Nothing booked, we will wait and see what the weather does.